Mega multipurpose HTML Template package for websites of all kind; Agency, Creative Corporate, All types of Business, Organization, Software, Education, Medical, Charity, Personal Portfolio, Creative Blog, Photography and more… Easy to customize for CMS platforms like WordPress, Joomla, Drupal. Fresh, simple, clean and Professional designs with awesome slideshows, rich color variations to create outstanding website in minutes! Uno is the unique and modern Coming Soon / Under Construction HTML template for a creative agency, portfolio, general business or any other website. It can be used as your Coming Soon Page while the main site is under construction. Highly customizable, pretty easy to use. 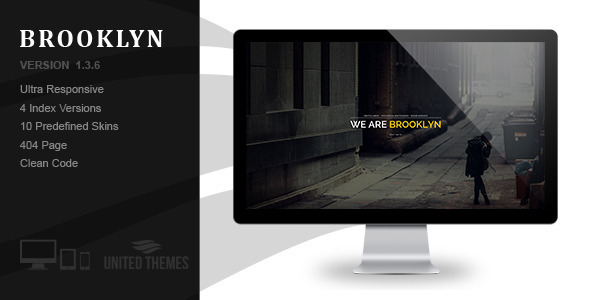 This template comes in 5 background styles and allows full video and different color sets. Its interesting design is perfect for any site type. Eduland a clean and elegant HTML- One Page Template, based on twitter bootstrap 3 framework, it will give you the best experience,with a lot of beautiful effects, easy to customize it and Compatible on every device and any browser. Gotten, is a Html5/Css3 Multipursose landing page, this html is divided in four part: restaurant, app, education and charity landig page. This html is based on Bootstrap 3.0, is easy to use, and it is that you need to show your project to way simple but elegant. Hi. This is SIMPLEAPP. A snazzy new HTML theme for your next product launch. SIMPLEAPP is packed with some awesome feature such as CSS animations and a SimpleForm. KuteShop is a modern, clean and professional HTML Template, It is fully responsive, it looks stunning on all types of screens and devices. It is super for fashion shop, digital shop, games shop, food shop, devices shop, household appliances shop or any other categories. A dodge game.By touching screen move “you” icon dodge from different arrows. If you won’t get arrows in your knee,just keep away from them then you will get higher score. 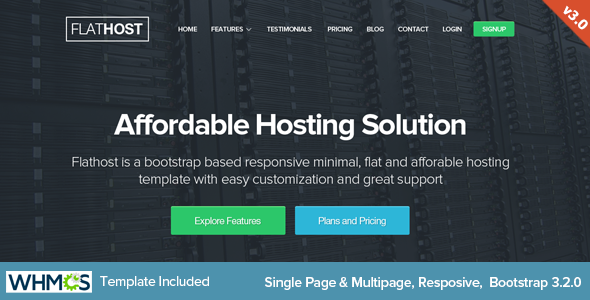 FlatHost provides one page and multipage Responsive HTML5 Domain and Hosting Template with WHMCS Theme. Minimalist Flat Design. Highly customizable code. Full layered PSD included. Sections includes Features, Testimonials, Partners, Pricing, Sign in, Sign up, Domain Search, Contact etc..